The most extreme red cable sleeve: Code-Red! This extremely bright red cable sleeve is highly fluorescent under slightest UV exposure in natural daylight. Make your custom cables stand out like no other with the massive shine of Code-Red cable sleeve. 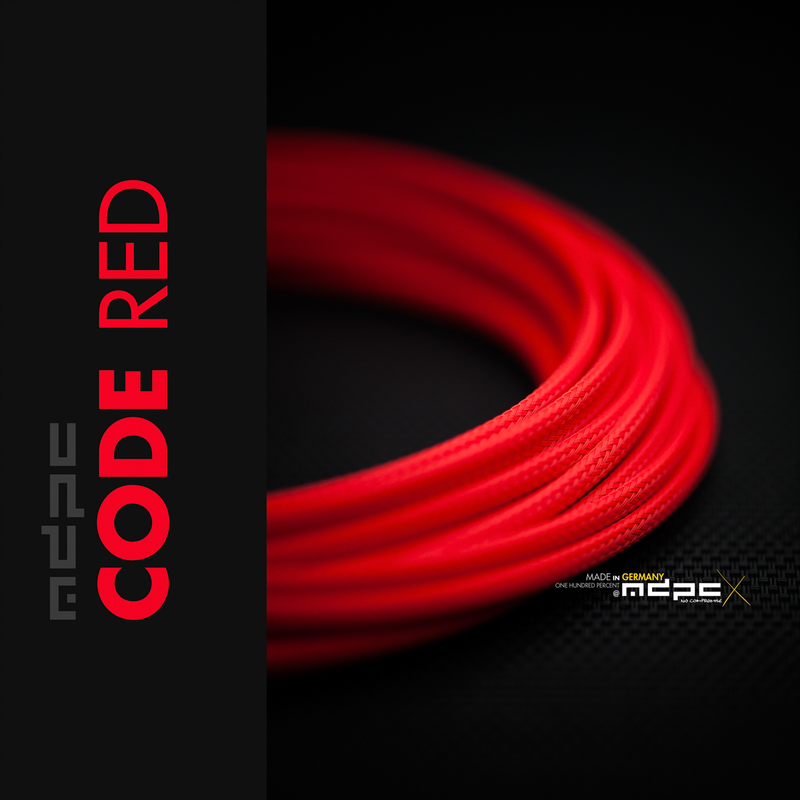 Get the new Code-Red cable sleeve by MDPC-X now! You can order Code-Red cable sleeve directly from us and of course you can also get MDPC-X Cable Sleeving products in even smaller quantities and directly in your continent / country through our global MDPC-X Stores. Code-Red is available as SMALL cable sleeve, XTC cable sleeve and as MEDIUM cable sleeve.